Crochet lace tape patterns, crochet pineapple stitch lace, crochet fish stitch, crochet peacock feather stitch pattern, lace crochet patterns, free detailed video tutorial. 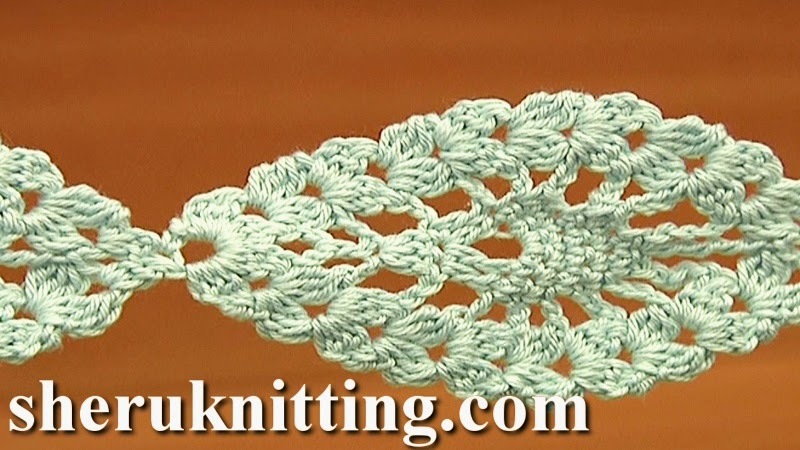 In this crochet video tutorial you will see how to crochet beautiful lace of pineapple stitch motifs. This flat double sided lace is good for a scarf, a belt, to work on borders, for a headband. Thank you for watching!